A dental implant is a surgical component used by the dentists for providing a strong base to the dental prosthesis. 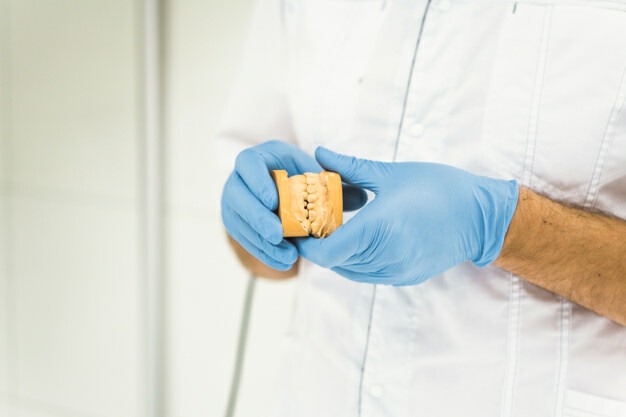 After the dentists insert the dental implants into the jawbone, they gradually latch themselves up and provide a strong base to the artificial tooth. According to the dentists, maneuverability is what makes dental implants so popular. The most exciting thing about a dental implant is that it looks and functions exactly like a natural tooth. Therefore, if you are missing out on one or more than one missing tooth, then high-quality dental implants is definitely the best option for you! If you are missing out on one or more than one missing tooth, then your chewing ability is bound to reduce! And a reduced chewing ability would gradually lead to severe digestion issues. In the long run, you can even start suffering from other health-related issues. A simple to all these problems is dental implants. A perfectly inserted dental implant provides a strong foundation to the artificial tooth and keeps away from all these kinds of worries. You will also not experience any pain at the time of grinding the food. A common outcome of missing tooth is the breaking down of the bone cells. Dentists all over the world are in the view that a situation like this gravely affects the entire set of teeth. This is when dental implants can be of immense help. It not only stimulates the growth of the bone but also reinstates the missing teeth. Thus, you will not have to worry about bone loss or similar kinds of issues. If the space between the area of the missing tooth and the adjacent one is large, then there are high chances for it to get dislocated or affected with infection. This again can affect the entire set of teeth, which is not at all good for your oral health. Thus to avoid all such issues, dentists all over the world are now using dental implants. They not only restore the missing tooth but also fill up the gap in between two teeth. In this way, the entire set of teeth gets protected from oral issues that might arise due to a missing tooth. The external appearance of your face will look quite odd if one or more than one tooth goes missing. It will lead to sagging. But, there is no reason for you to get tensed! The high-quality dental implants if perfectly placed in the jaw will take care of that issue. They provide a firm base to the dental prosthesis and helps prevent your face from sagging. It is a proven fact that if you are missing out on one or more than one tooth, you will not be able to speak properly. This is where dental implants step in. It improves the quality of the speech by blocking the passage of the air. Additionally, it can eliminate every discomfort that the patients might experience at the time of talking. Thus, if you are residing in Charlotte, NC, looking forward to treating your missing tooth, then we can definitely help you achieve that goal! At Promenade Center For Dentistry, our highly skilled dentist Dr. Duc Tang has both experience and skill to address and treat patients with missing tooth with the utmost efficiency. We always provide quality dental implants and make sure it lasts long and satisfies all the needs of the patients. Just shoot us a mail at [email protected], or dial 704-321-0980 to book an appointment with us. You can also visit us directly at 10844 Providence Rd #270, Charlotte, NC 28277, USA.